Einige Kunden wünschten sich ein umfangreicheres Backup ihrer Daten und mehr Kontrolle über ihre Portknox Cloud. Da jede Cloud eine eigene Installation ist, kamen wir auf die Idee, die komplette Datenbank in den Dateien-Bereich des Kunden abzuspeichern. Neue Kunden haben schon jetzt den Ordner "PortknoxBackup", bestehende Kunden müssen ihn nur anlegen. In diesem Ordner wird dann nächtlich das SQL Backup automatisch abgeleget. Mehr Informationen findet ihr in der entsprechenden Anleitung. We started rolling out the 13.0.5 update, maybe it will be the last update before Nextcloud 14. We added the Previewgenerator app, to improve the speed of gallery and mobile clients. Right now it is not activated on all clouds as we test the impact on our servers, we will post more on this topic soon. Read more about the update in the Nextcloud news. Improved performance on many levels, check the huge changlog for details. This smaller update fixes many sorting errors. Import, visual and timezone fixes. We already working on the Nextcloud 14 update, which will be relased later this month, there will be a updated status report posted soon. Also the Nextcloud conf is happing soon in Berlin, its the best way to get involved and learn about Nextcloud. Come join us! At our applist you can see which app in which version is installed on Portknox. We have now automated the way our applist is generated, after every Nextcloud or app update the list gets regenerated. Right now it's possible to activate 44 apps! For two years Portknox has been hosting the nightly builds for several Nextcloud apps. As we have to move to a newer server, I'll take the chance to document the nightly creation process. So, if you want to add nightly builds to your app here is a full automated and low-maintenance process. In case you need help or a place to save the builds just send us an email. We are happy to help! Here are the related pull requests for Calendar and Contacts. Update: There is a note for existing users below (gray screen problem). To get a full overview about the Collabora Update read this post, this post and this. If the Collabora screen does not open and you see just a gray window, please go the Collabora Settings and just safe the form again, this resets the cache. Early this month we finished migration of all Portknox clouds to Nextcloud 13 and with it nearly all apps have got an update. As you can see in our applist, Portknox now offers 41 supported apps. One of the biggest enhancements is Nextcloud Talk which adds video & audio-conferencing to Nextcloud. Please note that you will need a TURN server to communicate with users behind routers or firewalls. We offer an addon which is easy to setup. Nextcloud 13 also adds a feature for client side encryption as a tech preview. We will test and follow the progress closely. Right now we don't ship this app to our customers, but it looks as if we will soon. Right now we are migrating clouds to our improved infrastructure. As every Portknox cloud is self-contained and isolated this needs to be done from time to time. We have done this in past, too. If you want to test your own up2date Nextcloud you can now try Portknox.net for 14 days. Part of the Nextcloud team will celebrate the release of Nextcloud 13. We’re organizing a meetup with some talks and hacking! Let’s meet Tuesday, February 13, 7:00 PM at Nextcloud GmbH / Struktur AG, Kronenstr. 22a, Stuttgart (Just ring at Nextcloud/Struktur AG). If you are on Meetup.com you can RSVP. We will have a short intro to Nextcloud and what’s new for version 13. How upgrades work, and if there is interest how Portknox.net updates. Whether you are a designer or developer, come join in and make the open web better! Everyone is welcome! Bring your friends and spread the word. 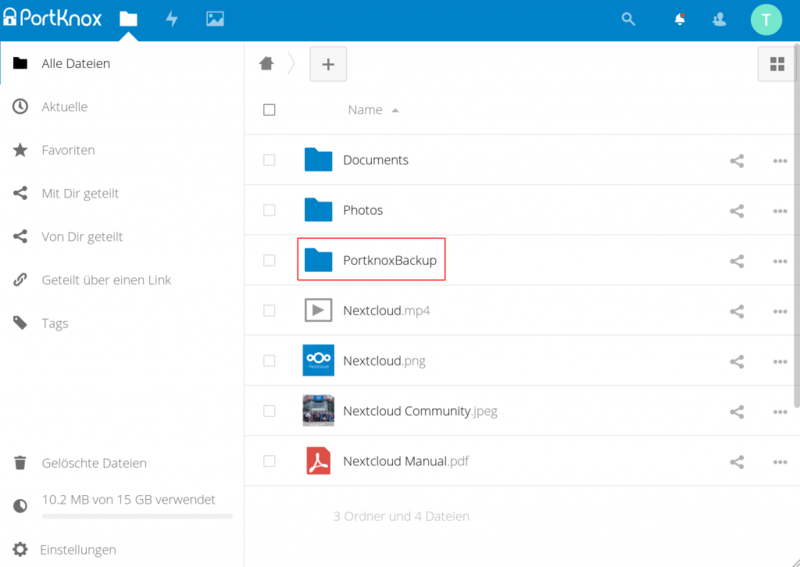 Nextcloud 13 is just some days away with great new features. At Portknox we are already working on the upgrade. Since Collabora Online is available as an addon to our Portknox clouds, many customers have started using it to work on office documents through the browser and in collaboration with others. Today we have further improved and updated our Collabora integration. Our infrastructure now has increased capacity, opening a document is much faster. Furthermore we have updated Collabora Office and all included dependecies. 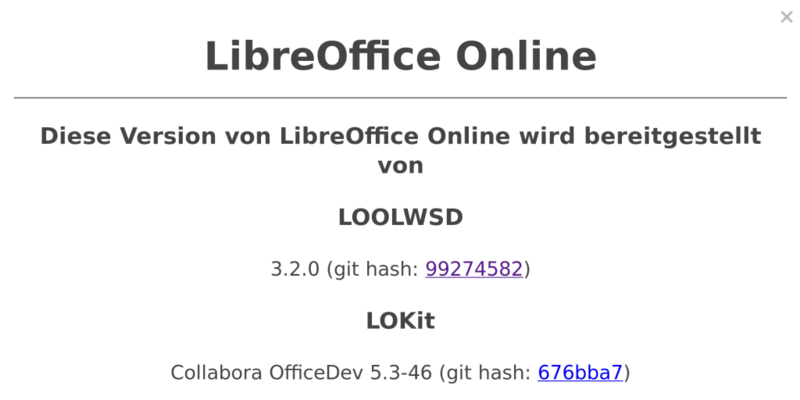 We have also included the version number of Collabora Online / LibreOffice Online to your applist. And more improvements and updates to Office Online are about to come! On mobile devices you can use CloudNotes (iOS) or Notes (Android). The 2.0 relase brings impressive performance to the Contacts app. The inital loading is really fast now, furthermore contacts are only loaded if needed, which makes the app even more speedy. There are many more improvements, check out the release notes. This minor update fixes bugs with timezones, UI and the sharing. Here is the full changelog. Another minor update with UI and bug fixes. All clouds will get the update to the most recent maintenance release. At our applist you can see which app in which version is installed on Portknox. We have now automated the way our applist is generated, after every Nextcloud or app update the list gets regenerated. Right now it's possible to activate 43 apps!